What it's like seeing the world through the eyes of a child. Growing up with a dad who flew planes as a hobby gave me multiple chances to travel while I was still young. Starting in third grade, I was introduced to Hawaii, and by the time I hit high school I had been to almost every state (at least the ones worth seeing). Different countries were added to the list somewhere along the way. I was submerged in different cultures every time, and as I got older more opportunities became available for what I could see. I climbed up to the crown of the Statue of Liberty, experienced 14 feet of snow in Yellowstone, got a foot away from a Nurse shark in Staniel Cay (on accident, oops), watched the sunset change colors over the water in Newfoundland and went cliff jumping in Cancun. Growing up traveling made me realize how much you gain from seeing the world when you are young. 1. You obtain travel experience while you still can. A lot of people put off traveling for the future, saying they will go places once they get out of college. But the truth is, you don’t have a lot of money to travel right after college. When you are a kid and your parents give you the opportunity to go somewhere new, take it. Appreciate the fact that it’s not your own money that you are spending at the time because it soon will be. 2. "The older you get, the more appreciation you gain for new cultures and places." True. However, you only get to experience things when you are young once. You have a whole lifetime to experience and appreciate them when you are an adult. And as Chee Vai Tang said, "If we could all see the world through the eyes of a child, we would see the magic in everything." 3. You find a new thing to fall in love with (one that won’t break your heart). There are many fears tied to traveling- heights, being kidnapped, getting lost in a new place, etc. These often hold people back from leaving their comfort zone, and they don’t realize that traveling is an amazing experience that they very easily will fall in love with. 4. It forces you to spend time with your family which actually ends up being kind of fun. While spending time with your parents isn’t considered “cool,” bonding over whatever exotic place you are at ends up creating memories you will cherish later on in adulthood. 5. It's impressive to say you've been to 30 different states by the time you are 13 (and no, you aren't an "army brat"). Because come on, being able to say you’ve seen half the world, or even half the country, is pretty cool, especially when the kid sitting beside you in class hasn’t left the East coast. 6. You learn things that you can't learn online or inside a classroom. Regardless of the amount of travel videos you watch, brochures you read or comments you read on travel websites, you won’t know how much your feet sink into the sand in The Bahamas or how the air always smells fresh in less-populated areas of Canada, until you actually experience it yourself. 7. It has an impact on your future. 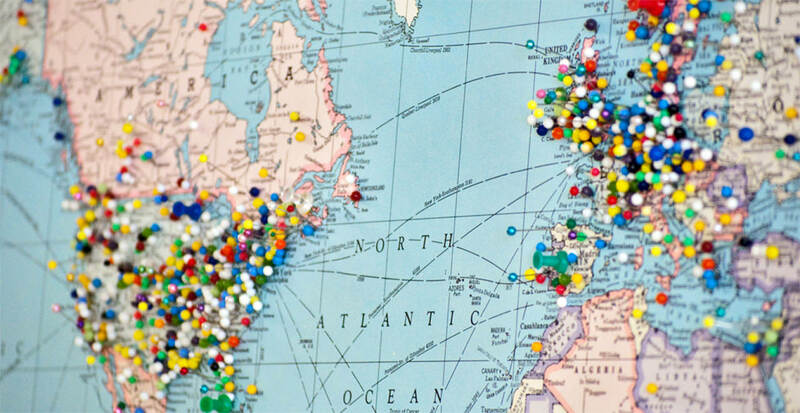 Who knows, you may end up wanting to major in something international, or travel abroad in college. Regardless, once you get hooked on traveling, you won’t be able to stop. Learn about the best sites to see, views of the city, coffee shops, and much more! I've visited Cincinnati a few times now, so these tips should be adequate for a long weekend in the Queen City! See the sights, eat some amazing food, and make the most of this great city! - Arrive in the city in the late afternoon and look around as you find your hotel/place you are staying. - Grab some dinner at the famous Skyline Chili. I suggest either a coney or a classic 3-way chili. Fun fact: their chili recipe has chocolate as an ingredient! - Go to a park for a night skyline view at a park. Eden Park, Mt. Echo Park, and Devou Park are all parks that I have visited and are located further up a hill to look down towards the city. There are also several parks and parking lots located along the river on the Kentucky side that have great views. - Find a fun coffee shop to caffeinate for the day and grab a pastry. 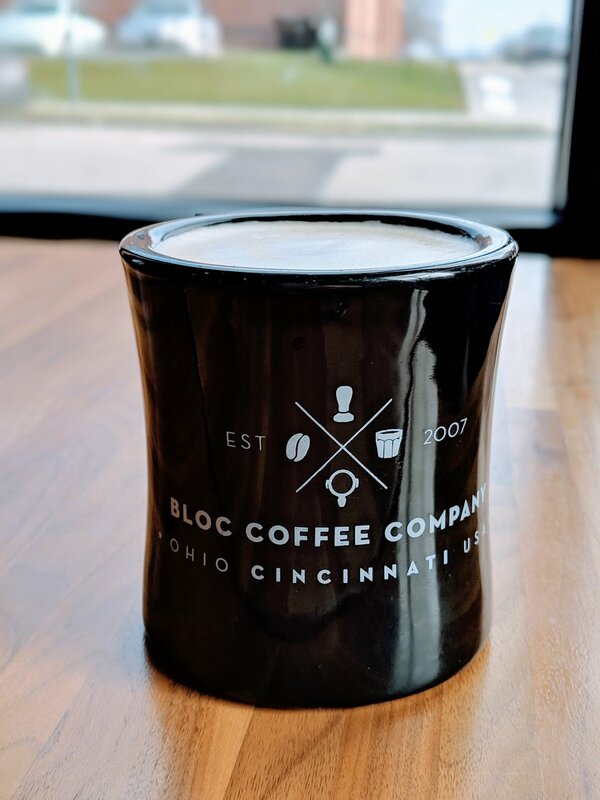 Carabello Coffee, Coffee Emporium, and BLOC Coffee Company are three that I have tried, and I have also heard that Sidewinder is fantastic. -Head over to Findlay Market - there will be an array of meats, cheeses, and other foods, as well as vendors outside lining the market. 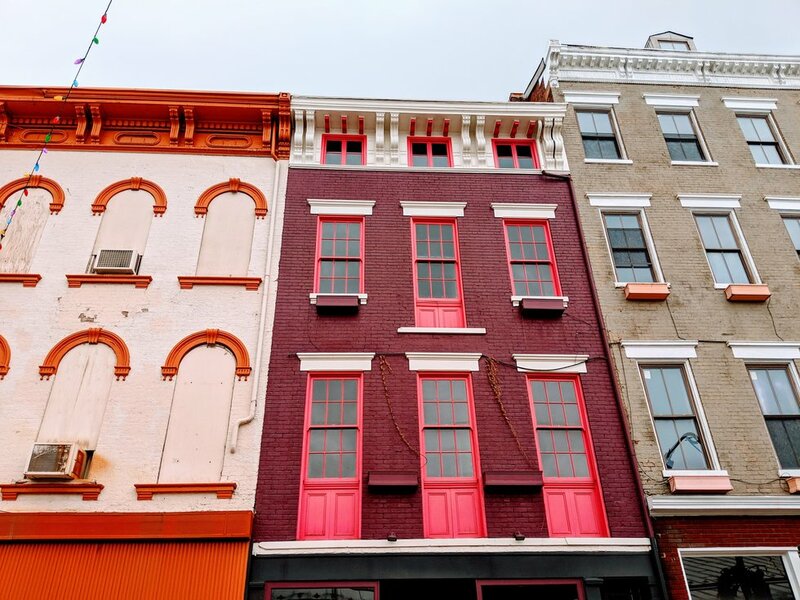 - Explore the Over The Rhine neighborhood. Grab some design inspo from Elm and Iron, and stop in for good smells at the Candle Lab! 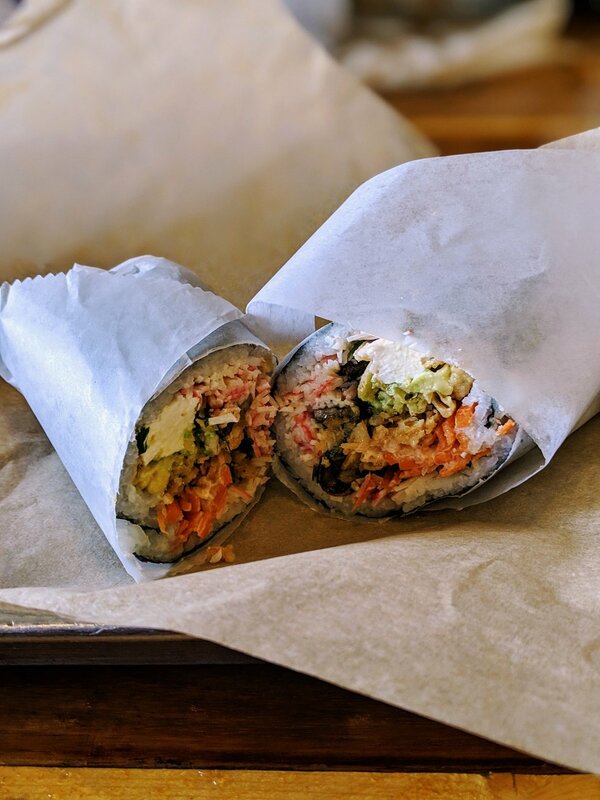 - Find a fun place for lunch. I haven't eaten in this neighborhood, but it is covered with amazing smells that will make your mouth water. - Stop into Graeter's Ice Cream. I suggest the Buckeye flavor ice cream, or if in season, a black raspberry chocolate chip donut. - Enjoy your ice cream at Washington Park. There is also a dog park where you can have your fill of "AWE's" for the day. 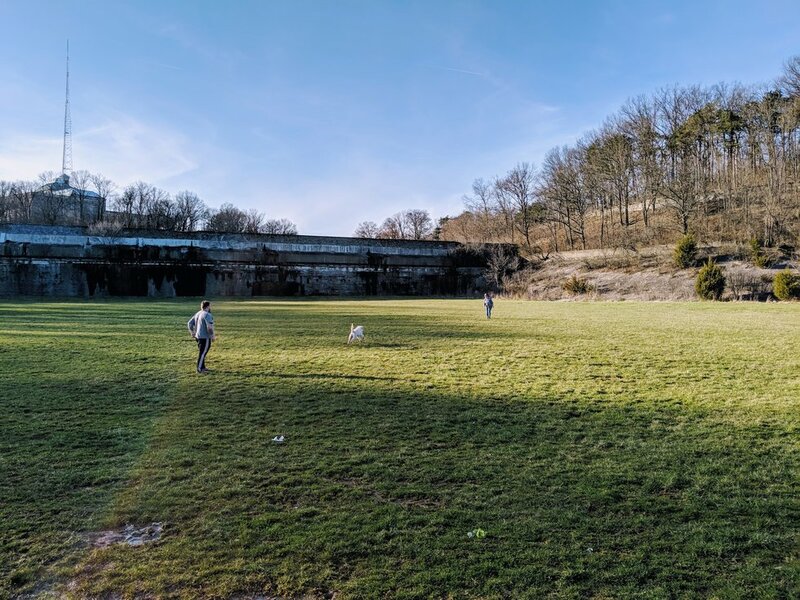 - Another great place to spend some time is Eden Park. There are Botanical Gardens, as well as butterflies. 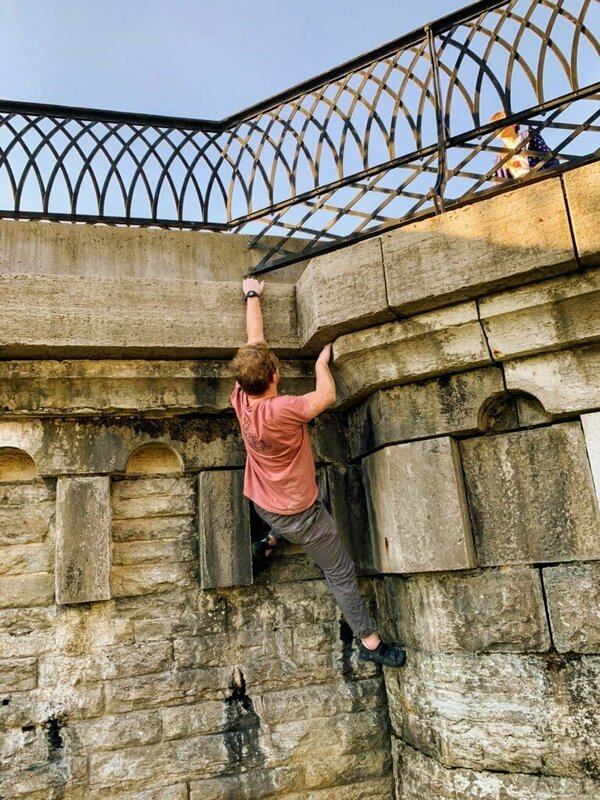 While I was there, my boyfriend made some friends with climbers and spent time "buildering" (climbing on the outside of buildings or artificial structures) on an old aqueduct, and his sister played fetch with her dog in a large field. - All I can ever think about is food, so next up would be dinner. There are several good options around the Clifton Heights and University of Cincinnati area. I have been to Currito and Roll on In, but I have also heard that Keystone's Mac Shack is great. 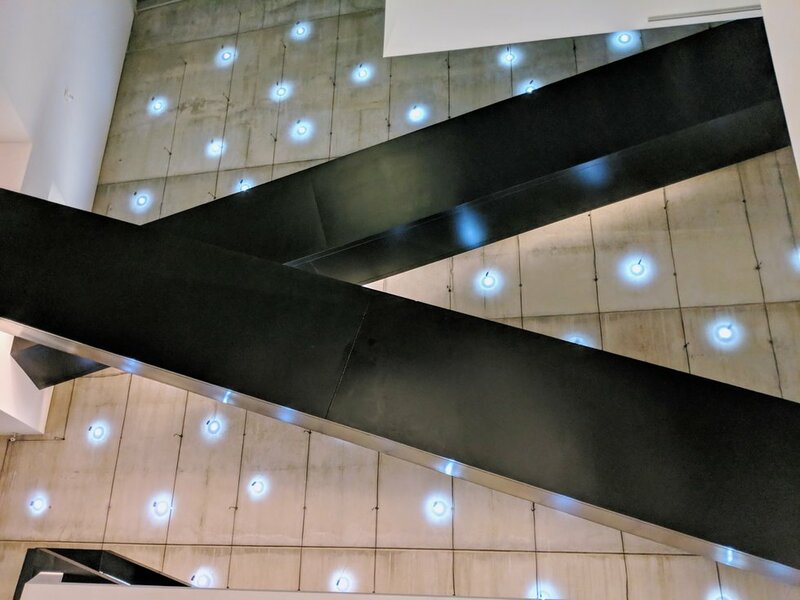 - End the night by heading to the Contemporary Art Museum. Admission is free. If art isn't your thing, maybe architecture is. This museum was designed by Zaha Hadid and is a piece of art in itself. Feel free to explore, and find the locked room. Grab a key from the front desk and you will have access to a tiny room with the best carpet on this planet as well as several hand-selected books and a view out into the city. - Begin the day with one of my previous coffee shop recommendations or go to Taste of Belgium, a good place for a waffle. 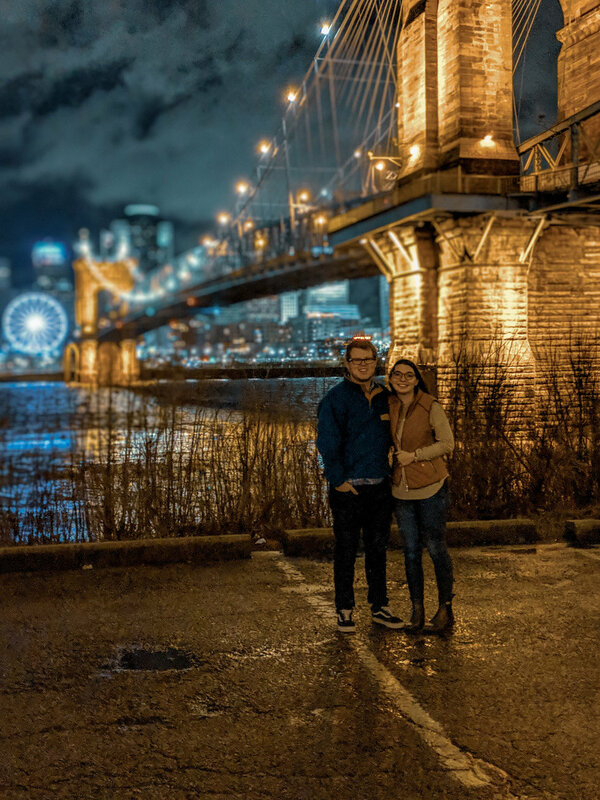 - Drive either to the Kentucky side by the river or find parking near Smale Riverfront Park. 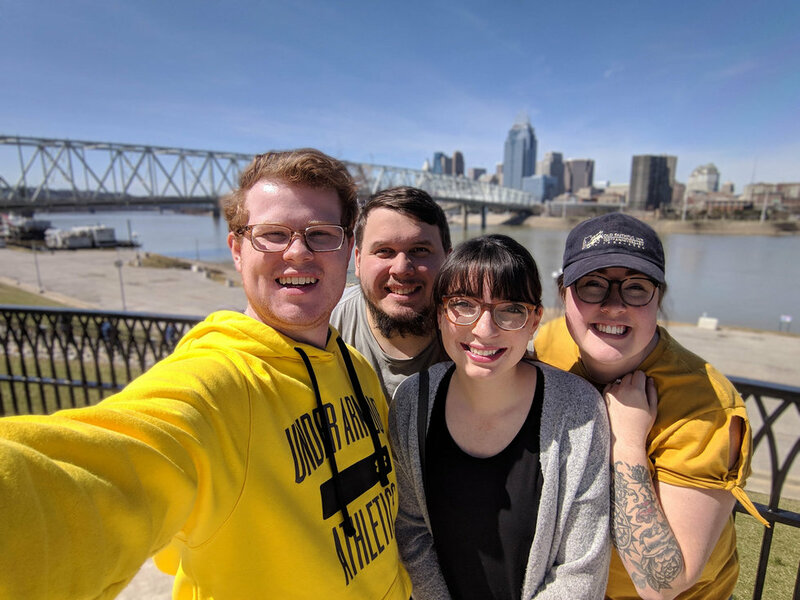 Spend time to walk across the historic bridge and take in the views as well as explore the fun adventures the park has to offer, such as bench swings along the riverfront. - Explore Newport on the Levee. There are various shops, chain businesses, attractions such as a movie theater and bowling. Good views can be found here as well. - Grab some lunchtime fare at Dewey's Pizza or Tom and Chee. - Find time to explore what I may have forgotten, or what I may have not been to! I haven't spent a lot of time in the middle of downtown so this would be a great time. Going to the top of some of the skyscrapers or riding the Ferris wheel near the river could be included. - Head out of the city and remember your fabulous time!